Kürzlich renoviert. Ideale Wohnung für entspannende Ferien mit Blick aufs Meer und Wifi. Dieser 1. Stock, auf zwei Ebenen, in Privatbesitz End-Wohnung befindet sich in einem ruhigen Viertel von S'Algar, während alle Einrichtungen, die leicht zugänglich sind, einschließlich der Nutzung des Schwimmbades im Las Palmeras Komplex, der ein paar Minuten zu Fuß entfernt ist. Es ist eine große und luftige Wohnung mit weißen Wänden und eine Spitze Dach mit Holzbalken. Ein Balkon bietet einen Panoramablick auf das Meer und das Schiebedach bietet eine 360 ​​° Blick auf die Küste, S'Algar und die umliegende Landschaft (das ist die Sonne den ganzen Tag sieht). Klimaanlage in den beiden Schlafzimmern. Doppelverglasung so geeignet für ganzjährige Unterkunft. Neue Waschmaschine und Trockenraum auf der Rückseite Balkon. Sony Bravia 32 "HD LCD FlatscreenTV. Safe zur Verfügung. Voll ausgestattete, moderne Badezimmer mit Badewanne, Dusche, Waschbecken und WC gefliest. Da die Unterkunft am Ende des Blocks befindet, besteht der Vorteil einer Öffnung Fenster. Hinweise zur Unterkunft: Stromkosten inklusive. Las Palmeras Pool, Restaurants, Supermarkt und Kinderspielplatz sind alle in unmittelbarer Nähe ....... 3 Minuten zu Fuß. Keine Haustiere erlaubt. Bus-Service zur Verfügung, um verschiedene Teile der Insel. Kinderbett und / oder Hochstuhl zur Verfügung von der lokalen Verwaltung. DRAUSSEN: Sunloungers und Stühle im 1. Stock Dachterrasse. Gartenmöbel auf der Vorderseite Balkon. Hauswirtschaftsraum: Waschmaschine / Trockenraum. Reinigung / Handtücher / Bettwäsche / Reinigung: Bettwäsche und kleine Handtücher. Wöchentliche Reinigung und Wäschewechsel. Sie werden gebeten, Betten abzuziehen und am Ende der ersten Woche und / oder am Ende des Aufenthalts Bettwäsche für die Sammlung zu verlassen. Sie werden mit den Kontaktdaten des Local Management zur Verfügung gestellt werden. ANDERE: Balkon mit entsprechenden Möbeln. Schiebedach mit Stühlen und Sonnenliegen (Zugangstür kann aus Sicherheitsgründen für Kleinkinder bei Bedarf gesperrt werden). ...to relax and make holidays. I was there with my 80 year mother in August 2018 for two weeks. For us the apartment was perfect. Each of us had has their own room. Everything we need, was there. Two times we have had little problems, we called Samantha from the service and she solved the problems directly. Especially we loved the sea view, when we are had breakfast on the balcony or when we are sitting there in the night. Also it is very quiet there, we didn't heard any planes, cars or other noises. The only thing what could be better, was the bathroom: if you are bit handicapped, its not so easy, to go into the tub to get a shower and there is no space for your personal things. Our idea was, maybe it's possible, to fix a small board on the wall next to the washbasin. I loved the time there and wish to come back. Great views, but cleanliness let’s it down. Upon arrival everything looked lovely and welcoming. The balcony and roof terrace has a fantastic view. This was tainted somewhat when entering the bathroom. A little mastic to cover up the black bits around the bath, and a little more care and attention to loose hairs and dirt on and under the shower mat etc, in this area, would definitely go a long way. Disappointed also at the level of cleaning in the kitchen. We spent a good hour or so cleaning lots of plates and pans, cutlery and glasses which were all quite dirty upon arrival. I was disappointed by this as I don’t feel this should be our job before we’ve even used these items! Also, there are no sharp kitchen knives at all, only one large bread knife. Great freezer and a large fridge. Air conditioning only in the bedrooms, nothing in the living room, maybe just a small fan in the living area would be greatly appreciated. We kept the wooden blinds shut and that really helped. On the balcony, the only way you can have the umbrella up is at the table, as the holder cannot contain much water due to a hole in the side of it... we found this out the hard way and the neighbour downstairs was none too happy when water started dripping onto their awning, however when the balcony drain hole is in the centre, it’s hard for the water to go anywhere else... nightmare. Clean towels and t-towels upon arrival. Iron and ironing board provided. There is a small car park which gets filled very quickly, even in September. So we had to park further up along the road most days. It has very small parking spaces and everyone parks ‘strategically’ so sometimes there’s spaces which are just impossible to get into. The villa is nice enough, and in a lovely location. But unfortunately we would not return. The level of cleanliness just isn’t up to our standard, it was such a shame we had to clean things before we could properly enjoy them here. 1. All visitors are requested to contact the local Management in the event of ANY problems upon arrival. Cleaners would have been promptly recalled. 2. Air-con in bedrooms is normal. Fans ARE provided in lounge area. Double doors open to front balcony for view & breeze plus rear door for a through draught. 3. Umbrella holder would have been replaced by management upon notification. All apartments have a balcony drain – an original design fault. 4. The available car park does not allow for allocated spaces & road parking never been a previous problem over 20+ years of ownership. 5. Humidity can cause mould. Rooms are decorated annually at beginning of season. Again action could have been taken by following No.1 above. 6. Owners have laid down procedures for problems and if followed by visitors, any unknown problem to management or inconvenience is dealt with immediately. Unfortunately, a lack of communication accentuated the issues on this occasion. I booked this apartment for my parents, which is advertised as a luxury apartment... unfortunately it is not, it could be if it was updated. they were without air con for 5 days, but eventually it was fixed. Previous occupants had left the apartment in a state... cleaners didn't do a very good job, they had to re-wash all cutlery and crockery before using it. The iron had to be swapped as it had bare wires in 2 places. The wifi had to be fixed, they had to get an extension lead as only one thing can be plugged in at a time ie the tv or the wifi. the umbrella base is filled with water rather than sand... it is cracked therefore it leaks on to the balcony below, and the occupant below was less than happy. 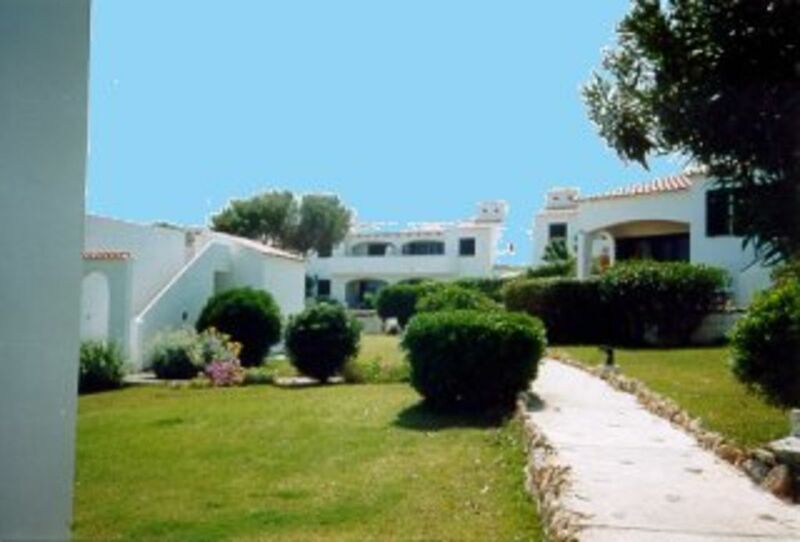 S'Algar is a beautiful place and they loved the resort, but were disappointed with the apartment, which as said previously could be beautiful as the views are stunning. We would further comment as follows:- we checked with previous occupants of the property and they were able to utilise the wifi as they used other sockets for charging phones etc. Also, I would mention that we do send details of people to contact should there be problems at the apartment with the balance confirmation letter and advise at that time that there is a folder in the apartment with all information required relating to apartment. There is a visitors folder on the coffee table which also gives the contact information. Our Management in S’Algar prides itself in a prompt and efficient service which we feel was evident as they attended as mentioned above. The apartment was very badly equipped. We were expecting to find something in the way of washing up accessories a tea towel or a dish cloth at the very least; but absolutely nothing, not even a washing up bowl. Possibly the most uncomfortable rock hard bed we have ever slept in and the air-con was set at 16c and would go no lower when temperatures were averaging 29-30c. The very small veranda was equipped with no less than 8 plastic chairs, one table and 3 loungers. I think someone needs to inspect this apartment before some other unsuspecting client finds the same shambles. Fortunately we have some friends who live nearby that came to our rescue for a couple of nights and gave us a bit of respite. We are regular visitors to Menorca but we won't be re-booking through this agency!! Menorca Cricket Club arrangiert Einrichtungen für Touristen in der Hauptsommersaison. Weitere Details von Eigentümern. Die Küste ist ungefähr 5 Minuten zu Fuß entfernt. Mahon Flughafen ist 20 Minuten mit dem Auto / Taxi. Eine Autovermietung ist nicht unbedingt erforderlich. Es empfiehlt sich jedoch, die herrlichen Strände der Insel zu besuchen und zahlreiche Restaurants mit gutem Preis-Leistungs-Verhältnis zu besuchen. Es kann arrangiert werden, dass ein Auto auf dem Flughafen zur Verfügung gestellt oder auf Anfrage an das Apartment geliefert wird (Ermäßigungssätze für alle Fahrzeuge). Sant Lluis ist die lokale Stadt - 10 Minuten mit dem Auto / Bus. Friedliche Ruhe und eine entspannte Lebensart beschreiben Menorca mit seinen weiß getünchten Dörfern in einer üppigen grünen Landschaft und kristallklarem Wasser. Es ist bekannt als die "blau-weiße Insel" und bietet über 100 Strände, felsige Küsten, versteckte Buchten und Grotten, die für einige wundervolle Tauchplätze sorgen. In S'Algar gibt es ein Tauchzentrum mit Parascending. BOOKING NOTES Telephone 0151 639 7574 for Booking Form & additional information and speak to Diane McHugh who has personal experience of the area. NOTES ON PROCEDURE: If you wish to book you will receive a Booking Form and Invoice upon request. If you wish to book 2 full weeks, the total charge will be based on the cheaper week x 2 should this apply. Deposits by Credit Card are acceptable. CHANGEOVER DAY: Whilst Friday has for many years been the preferable changeover day on the Island and alternative days are therefore normally only acceptable out-of-season, PLEASE CALL as we will always try and accommodate your dates if we are able to do so. SHORT STAYS: Short stays are available although the nightly rates quoted may be amended due to local Management Charges.